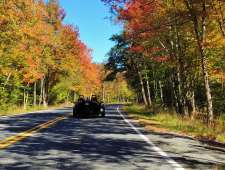 In autumn, the Pocono Mountains is ablaze with brilliant fall foliage. Stunning reds, oranges and yellows line the landscape as events and activities celebrate the season. 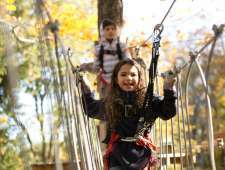 There are endless ways to enjoy autumn in the Pocono Mountains, from fairs and festivals to tours, train excursions and outdoor activities. 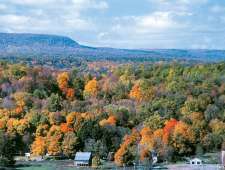 Our 25 Ways to View Fall Foliage highlights unique ways to have fun and explore the changing scenery. 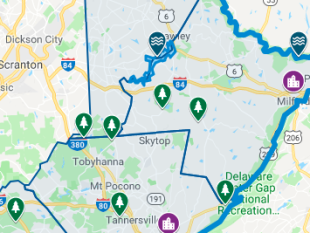 Fall planning tools, like our live cameras, fall special offers, and the 2018 Fall Foliage Report, will help you prepare the perfect vacation to the Pocono Mountains or day trip excursion. 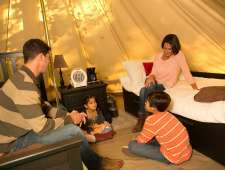 See the trees in real time, learn when the leaves will reach their peak, and find fall deals and events to sweeten your stay! 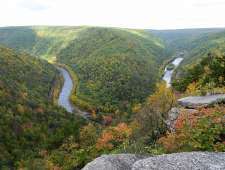 Use the resources below to learn all about fall in the Pocono Mountains. 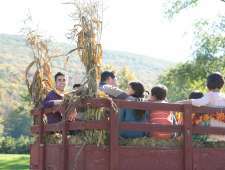 View the fall scenery in the Pocono Mountains! 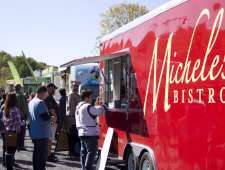 Spanning 2,400 square miles, the Pocono Mountains doesn’t have a shortage of hospitality. Wherever your vacation plans take you, find the perfect place for you. Everyone loves a good scare, but are you ready to experience the haunts of the season? We’re covering Halloween attractions , but beware, you may not want to go alone. You’re in luck: it’s almost peak color time in the Pocono Mountains! And trust us, you’ll want to see this. We’ve got just the hikes to view this astounding foliage .